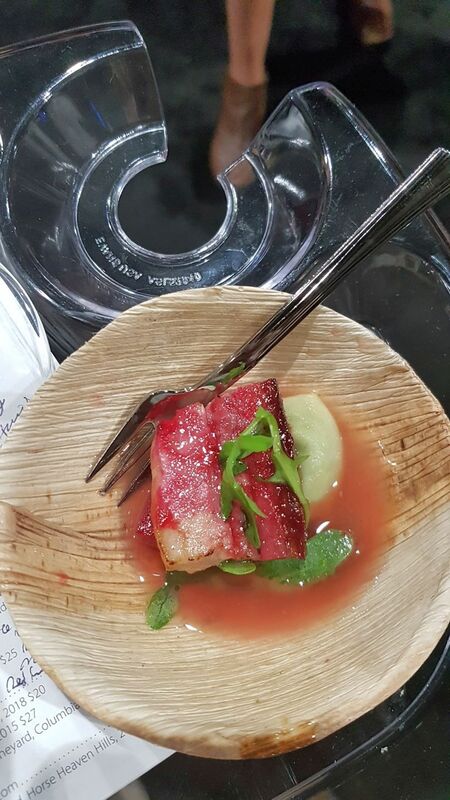 What is the Taste Washington Grand Tasting compare to? If you thought the Vancouver International Wine Festival Tasting Room, double the size, and add in 65 restaurants serving up freshly cooked dishes. I checked the Taste Washington website and it states that there are 235 wineries participating, but it felt like many more to me. 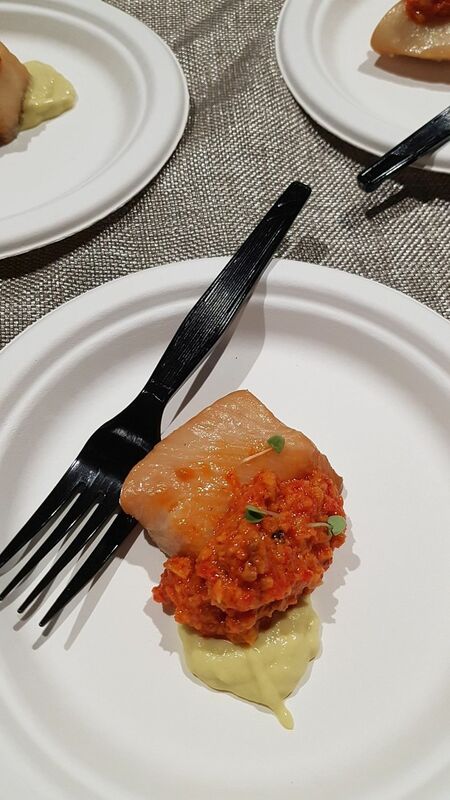 Standing on the second level of the CenturyLink Field Event Centre in Seattle, watching the masses of people tasting wine and enjoying culinary dishes, I am visually overwhelmed. Being down on the main floor, tasting wine and food, and trying to write tasting notes for me to relay to you is a herculean task. I checked in my booklet and I tasted wines from 48 wineries over a 4 hour period. That is a mere 20% of all the wineries at the event. There are many that I did want to try, but ran out of time. Below are my favourite white, sparkling, and red wines from the wines I tasted. If you have a favourite wine that you enjoyed that I did not list, it could be that I never reached that winery’s table; please post your favourite wine(s) in my comments section below. I’d love to hear which wines you liked. 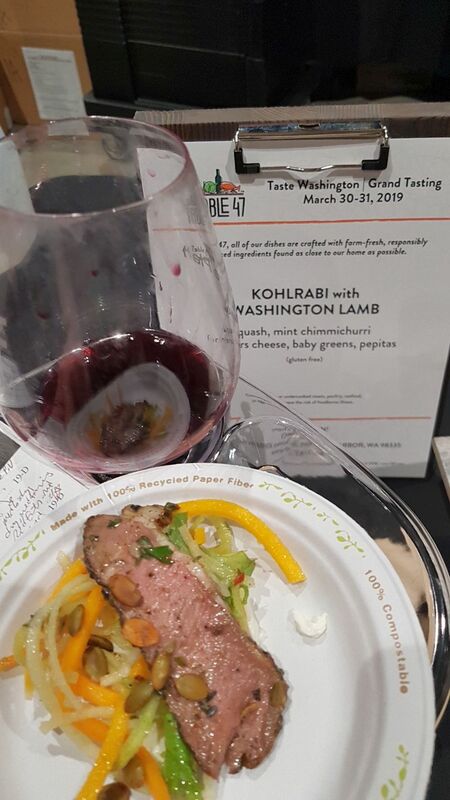 I also posted at the very bottom of my article a few photos of the dishes I enjoyed with the wines at Taste Washington. 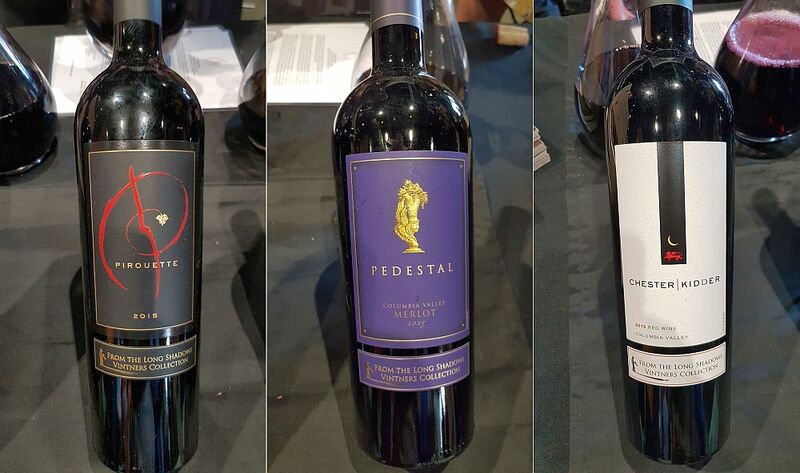 The prices shown for all the wines below are in US dollars purchased in Washington state. 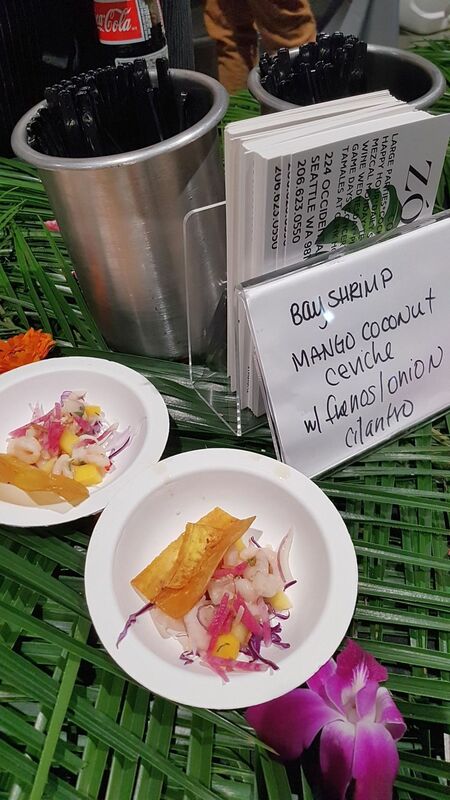 My tasting notes during events like this or the Vancouver International Wine Festival are not as detailed as my tasting notes from home, but give you an idea of aromas, flavours, and mouthfeel. 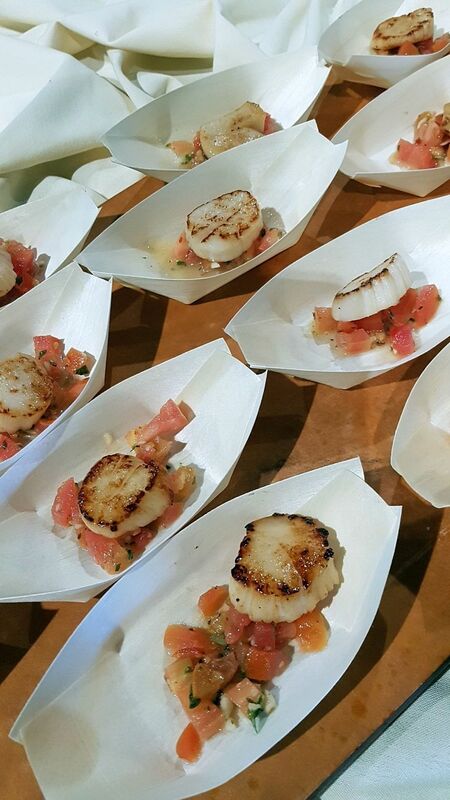 Enjoy and see you next year at Taste Washington. SuLei Cellars Albarino, Crawford Vineyard, Yakima Valley, 2017 ($22) – Interesting light citrus and apple nose. Rich and round, ripe pear and apple flavours. Medium minus acidity making a smooth mouthfeel. SuLei Cellars Extra Brut Sparkling Chardonnay, Crawford Vineyard, Yakima Valley, NV ($40) – This is the first release of this wine and it is a great success in my opinion. It has nice pears nose. The pears continue to the palate along with bruised apple and lees flavours. The wine is dry with small creamy bubble. Time & Direction Fretboard Viognier, Corfu Crossing Vineyard, Columbia Valley, 2018 ($25) – A musician turned winemaker, this Viognier is quite nice. I enjoyed its ripe orange aromas. The wine is dry with medium plus acidity with primarily ripe peaches on the palate but finished with some apple flavour as well. Trevari Cellars Blanc de Blancs Brut Sparkling Chardonnay, Columbia Valley, NV ($15) – That is a great price for a sparkling wine of this quality. It has a crisp apple nose. Green fruit and apples on the palate. Dry with high acidity. Very good. 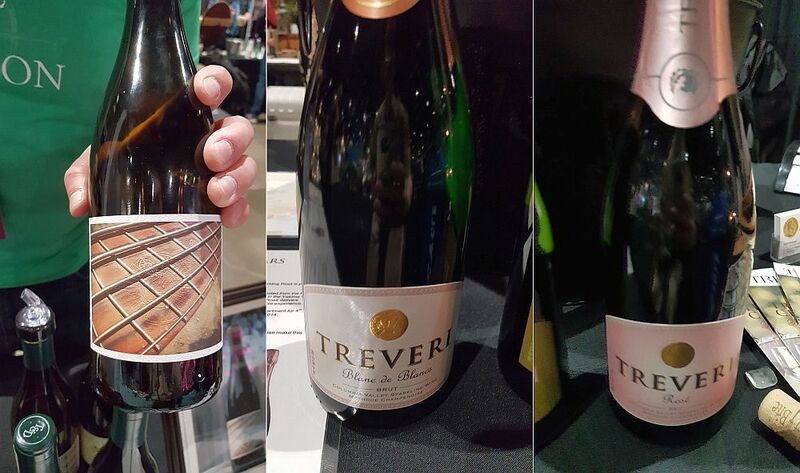 Trevari Cellars Sparkling Rosé, Columbia Valley, NV ($18) – A 50/50 Syrah/Chardonnay blend. This wine has a light cranberry nose. Dry with very creamy bubble. Tart red fruit flavours. Waterbrook Icon Series Viognier, Canyon Vineyard Ranch, Columbia Valley, 2017 ($24) – Very nice orangey nose. The wine is soft, with a light body. Oranges on the palate. This wine tastes like an orange creamsicle. Tag as “fun”. The Woodhouse Wine Estates Kennedy Shah Reserve Dry Riesling, Angiolina Vineyard Yakima Valley, 2015 ($25) – A mix of apple and petrol on the nose. Dry with higher acidity. Petrol and crisp apple on the palate. San Juan Vineyard Estate Siegerrebe, Puget Sound, 2017 ($25) – Have you heard of the Siegerrebe grape before? It is a cross between Gewurztraminer and Madeleine Angevine. This grape is also grown in the north Okanagan as well as the Fraser Valley and Vancouver Island. This wine has a nice floral and lychee nose. These aromas follow to the palate, along with sweet spices. Lighter body with medium acidity. If you like Gewurztraminer, give this wine a try. Rotie Cellars Southern White Rhone Blend, Walla Walla Valley, 2017 ($32) – A blend of Viognier, Roussanne, and Marsanne grapes. This wine has a very light stone fruit nose. Dryish, smooth with light acidity. Apple and peach along with a toasty/nutty flavour. Quality. 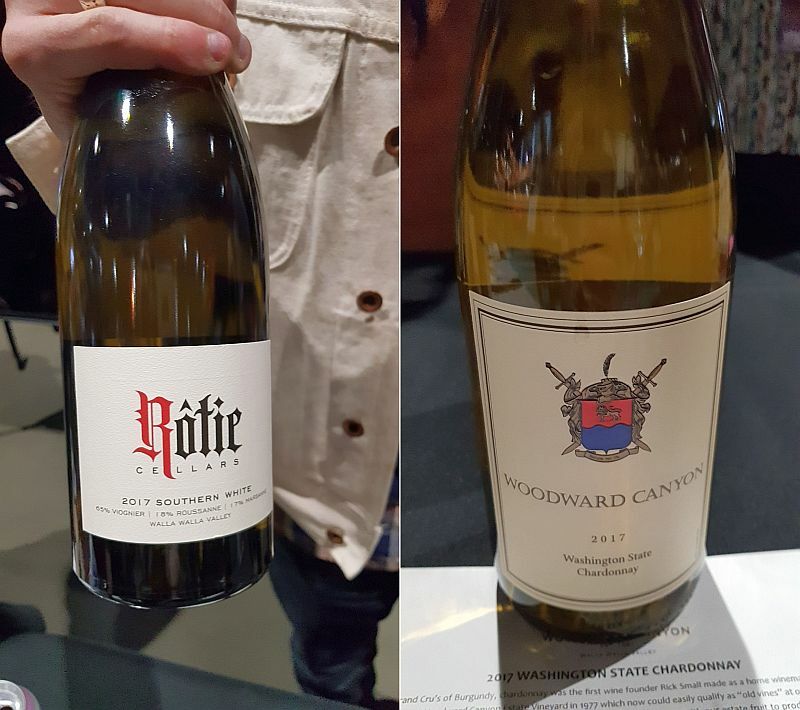 Woodward Canyon Winery Chardonnay, Washington State, 2017 ($44) – Nice light butterscotch and tropical fruit aromas. Round with medium body and ripe tropical fruit flavours. Airfield Estates Runway Red Bordeaux Blend, Yakima Valley, 2016 ($30) – Light cassis and capsicum on the nose. Medium plus body, dry and round with medium tannins. Red fruit and peppery on the palate. àMaurice Cellars “Fred” Estate Syrah, Walla Walla Valley 2015 ($45) – Floral and red fruit nose, reminds me a bit of a carbonic maceration-type aroma. Medium plus body, dry with a lighter mouthfeel. Cassis and red fruit flavours, with fine tannins. Ethereal. 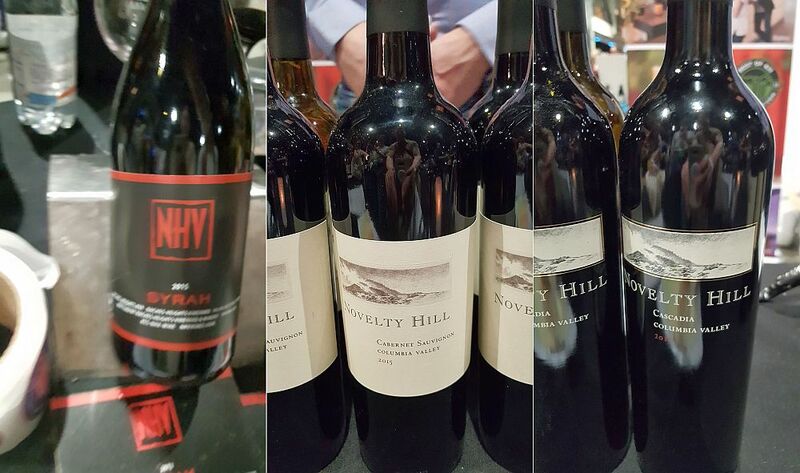 Andrew Will Winery Sorella Red Bordeaux Blend, Champoux Vineyard, Horse Heaven Hills, 2014 ($83) – A light intensity dark fruit nose. Full body dry and round with rich cassis fruit flavour and peppery toward the finish. Armstrong Family Winery Reserve Cabernet Sauvignon, Columbia Valley, 2015 ($55) – Nice cassis, vanilla and Old World oak nose. Dry, full body, round with a softer mouthfeel. A mix of cassis, cedar, vanilla and pepper on the palate. Very tasty. Milbrandt Vineyards Rose, Columbia Valley, 2018 ($13) – Rhubarb and red fruit flavours. Medium acidity leaving a smooth silky mouthfeel. Lawrelin Wine Cellars Syrah, Columbia Valley, 2005 ($42) – Pronounced cassis and dark fruit aromas. Full body with a round mouthfeel. Medium tannins. Ripe black fruit and cassis flavours. Long Shadows Vintners Pirouette Red Bordeaux Blend, Columbia Valley, 2015 ($60) – Very light red fruit and apple aromas. Full body, with firm tannins and medium acidity. Dark fruit flavours and a peppery finish. Can easily age 5-10 years for more mature enjoyment. Long Shadows Vintners Chester-Kidder Red Blend, Columbia Valley, 2015 ($60) – Light ripe cassis nose, Big, round and fruity; Black fruits. Peppery. Fine tannins. Pollard Vineyard Red Blend, Yakima Valley, 2016 ($31) – Nice capsicum and red fruit aromas. Nice, lighter body and mouthfeel. Cedar, red fruits and pepper on the palate. Fine tannins. Very good. 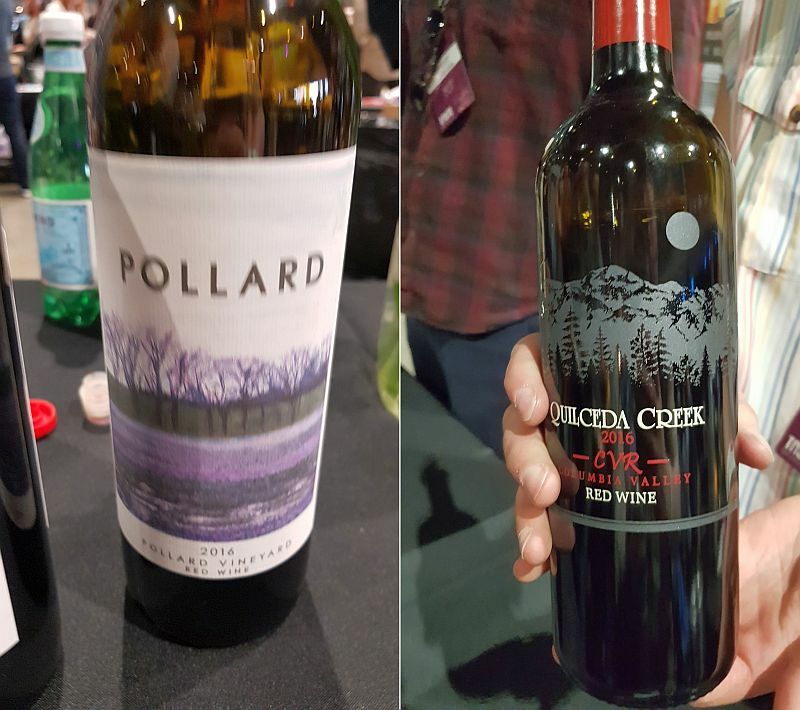 Quilceda Creek CVR Red Blend, Columbia Valley, 2016 ($70) – This is my overall favourite wine that I tasted at Taste Washington. Quilceda Creek is well-known for producing top quality wines and this one does not disappoint. It has a nice ripe cassis nose. Full body, with flavours of ripe cassis, red cherries, vanilla, and pepper. Medium tannins. Pictures of some excellent dishes I enjoyed. I hope the pictures make you hungry!